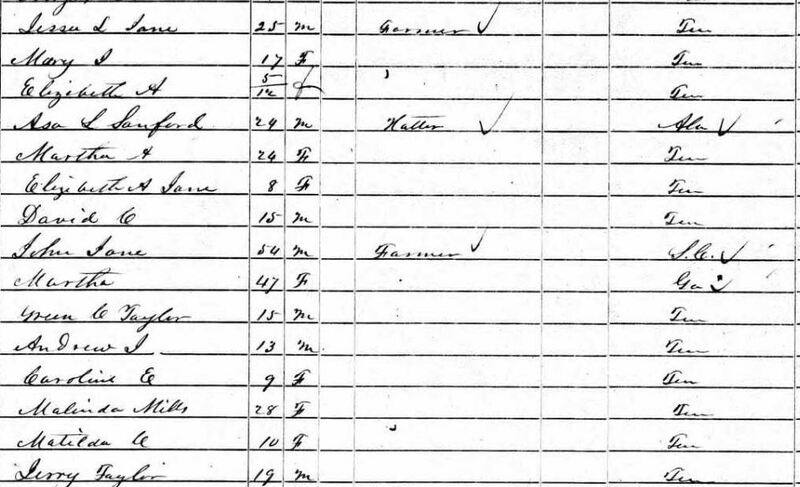 I was searching for Farquhar family when I noted a Welch family on the same census page and decided to record that information while I was there. The next thing I knew, I was sidetracked from Farquhar to Welch. One of the daughters in this Welch line is a great illustration on the complexity of the search for ancestors and why it is important to look for more than just an ancestor’s name and absolutely necessary to follow crazy-seeming clues to gain a more thorough view of an ancestor [so I decided to get sidetracked again and write a blog]. The 1870 census was slightly confusing because the columns, in order, represent Family Number, Surname, First Name, Age, Gender, Race, Occupation, Value of Real and Personal Property and State of Birth. In the Race column, this family is listed as Black,which should have indicated this is not my family line. However, because in previous and following censuses, the names and relative ages of these, family members were not black, I had to assume this was an enumerator error, probably caused by not completing the census during the interview but filling in columns at a later time. The family members are John (75), Sarena (35), Cranner/Dianner (11), Malissa (9), and William (4) Welch. [by searching multiple years of censuses and death records, the Cranner/Dianner name was ultimately shown to be Milly Diana, but also shows a southern pronunciation characteristic of names ending in ‘a’ taking on the ‘er’ sound]. 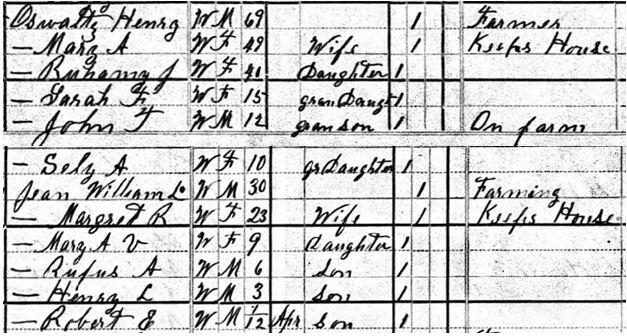 The 1880 census indicates this is a white family and again, with minor changes or additions, they appear to be the same people: John (87), Serena (45, Milly (19), Malissa (17) and William R. (14). Birth locations are the same as in 1870. The daughter Cranner/Dianner from 1870 has an additional name of Milly. When I had done what I could with finding information on John and Serena [Serena, by the way is a second wife and I have information on John and his first wife and children as well], I looked at some of the trees on Ancestry.com to see if there might be clues to tug on. I found Milly Diana with a husband still listed as living and therefore private, so couldn’t see his name; however, the above 1880 census was linked to her so I was able to pick up a name for her husband, Rosco Davis. Additionally, Diana’s sister Malissa was living with them so I found her as well. When I finished with Diana and Roscoe whom I discovered from more clue tugging was actually Richard Oscar Davis, I moved on to see if I could find a marriage for Malissa. One of the Ancestry.com trees had her married to a Thomas J. Davis, so off for more tugging. I prefer to find information in date order, but I didn’t find a census for 1910, but I did find a 1920 census. Thomas is 20 years older than Malissa and I now have a middle initial ‘C.’ to add to my search clues. I checked out FindAGrave and got a full name for her husband, Thomas Jefferson Davis, and discovered by links there that he was a brother to Milly Diana’s husband Richard Oscar Davis. I also got birth and death dates for both of them. Once I plugged in death dates in Ancestry.com, I was rewarded with a transcription from their Alabama death certificates; in Malissa’s case, it confirmed she was the daughter of John Welch, although his birth location was listed as North Carolina rather than South Carolina. Another clue popped up as a pension application. Thomas died in 1923, which left Malissa as an unemployed/unemployable woman with no income and no children to support her. Thomas had served in the Confederate Army during the Civil War and had been receiving a pension. In the pension application, Malissa (who referred to herself as Malissie) noted she married Thomas on January 29, 1901 on one application page and January 30, 1901 on a different application page. She also listed a middle name of Caroline. 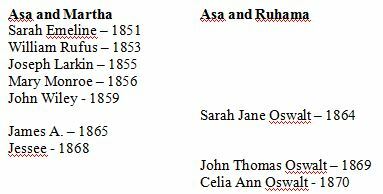 From FindA Grave, the person who prepared the memorials had linked a previous wife, Catherine, to Thomas and had her death date as 1899. The 1900 census had Malissa living with her sister and brother-in-law as a single woman, so I knew their marriage had to have taken place after those 1899 and 1900 events. As I reviewed marriage documents, I noted one for Fayette County between Thomas J. Davis and Sallie Welch on January 30, 1901. Both the date and the maiden name seemed worth looking at, so I plugged it in and found the 1910 census I had been unable to locate. The ages are slightly different from the earlier-discovered 1920 census – 74/54 versus 60/40 but the same 20-year difference is present. This is clearly the couple in the marriage license because in the 5th small column over it lists a 9-year marriage, although the enumerator noted it was the first marriage for both of them. The two zeros are on the wrong line but indicate the wife has not borne any children and no children are living. With the name of Sallie as a new and totally unexpected clue, I searched for Sallie Davis for a 1930 census and found one I’d seen before, but just didn’t know to look for Sallie. When I recorded the 1930 census for Malissa’s sister, Milly Diana, I noted a sister-in-law to Richard named Sallie Davis was living with them; however, a sister-in-law could have been his brother’s widow. 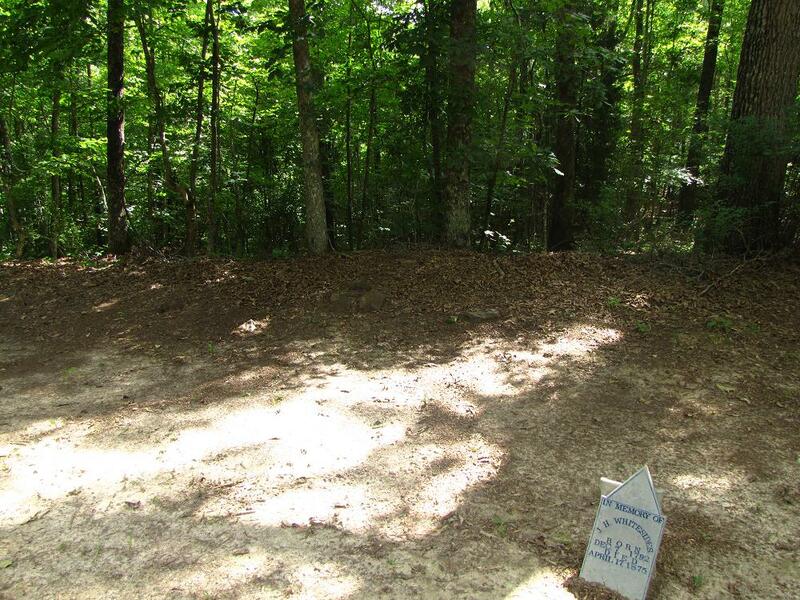 But with the information from the marriage license and the 1910 census, the Malissa Caroline “Sallie” Davis circle was completed. Malissa Caroline “Sallie” Welch Davis, daughter of John Sanders and Serena White Welch, and wife of Thomas Jefferson Davis was born September 11, 1863 in Bankston, Fayette, Alabama and died April 1, 1938 in Berry, Fayette, Alabama. 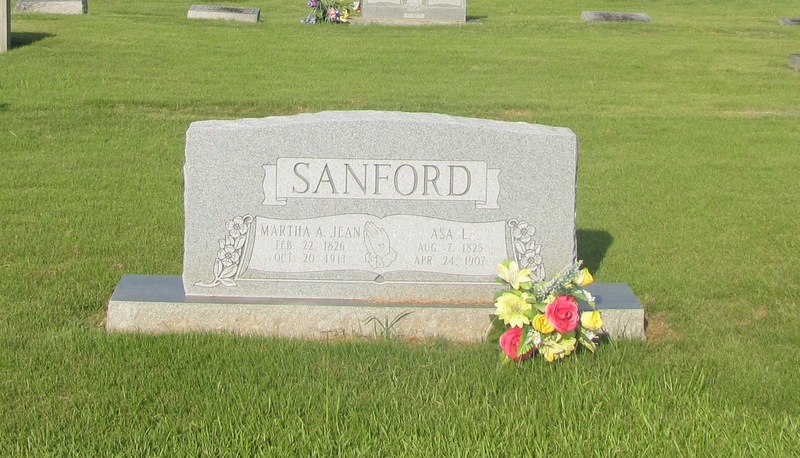 She is buried at Pleasant Hill Cemetery in Berry, Fayette, Alabama.